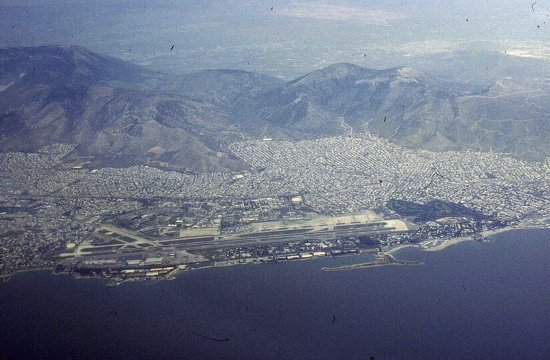 "Thousands should be working in this place and the old airport should have been turned into a flagship development project, which would be a symbol of the new Greece"
"The area of the old airport in Elliniko symbolises the SYRIZA government's absolute failure [to bring about growth]" main opposition New Democracy (ND) leader Kyriakos Mitsotakis noted during his visit on Tuesday to the site of the former Athens international airport, in the coastal Athens suburb of Elliniko, ANA reports. ND's president pointed out that the "SYRIZA government never considered Hellinikon as foremost development project and even today continues to create obstacles to the development of this investment." "Launching investments at Εlliniko is the next government's absolute developmental priority and we will do whatever possible for this area to become the symbol of the new Greece. An investment that will create thousands of new jobs, will change Athens'appearance and will symbolise a new Greece with optimism and confidence," he added.